The vision for the race was birthed in the heart of Karen Dedmond nearly 10 years ago. This was around the same time Bethany First Church of the Nazarene’s partnership with Swaziland was coming about. Karen is a retired labor and delivery nurse and now serves a personal fitness trainer. As she began to explore the idea more, she visited races in the area to view what it would take to create a successful 5K. Mrs. Dedmond voiced from the beginning that there is no way she could’ve or could still do this on her own. There is about 20 people who make up the Swazi 5K Committee, with each voice and task contributing to functionality of the race. She was very intentional about keeping the race in and around Bethany. However, without routing the passion in people’s heart for the missional purpose behind the race, it would all be in vain. Therefore, the committee started asking local businesses and business people to support and sponsor the event with hopes of opening their eyes to their genuine zealousness behind the vision. All proceeds will go towards food and medicine that the taskforce in Swaziland will distribute. Money raised also goes towards scholarships for mission trips to Swazi (filtered through BFC) and supplies/tutors for the Bethany After School Program. Whether you are participating or cheering on those involved, checking out the vendors, or hearing the commotion outside your bedroom window, come out and support this event. Becca Cox, a Senior Graphic Design student at SNU, and her family have been participating in the race since she was about a sophomore in high school. For those of us pinching pennies, maybe we could give up a few starbucks drinks. 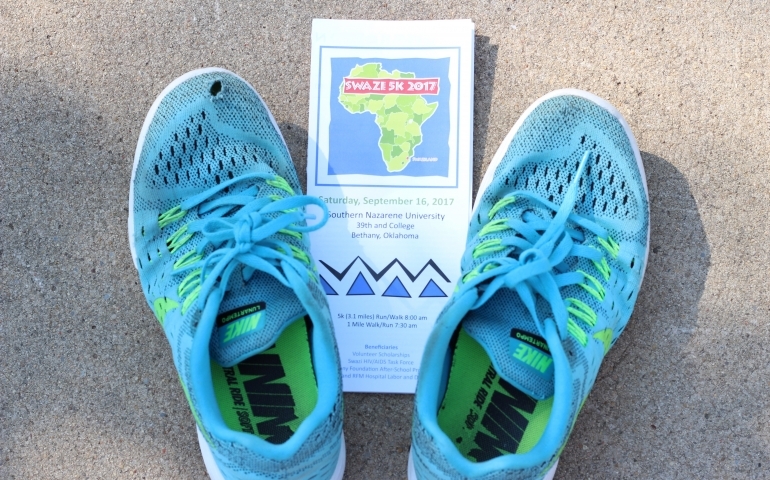 The Swazi 5K transforms lives here in Bethany & a thousand miles away in the country of Swaziland. Don’t miss out on an opportunity to make a difference.